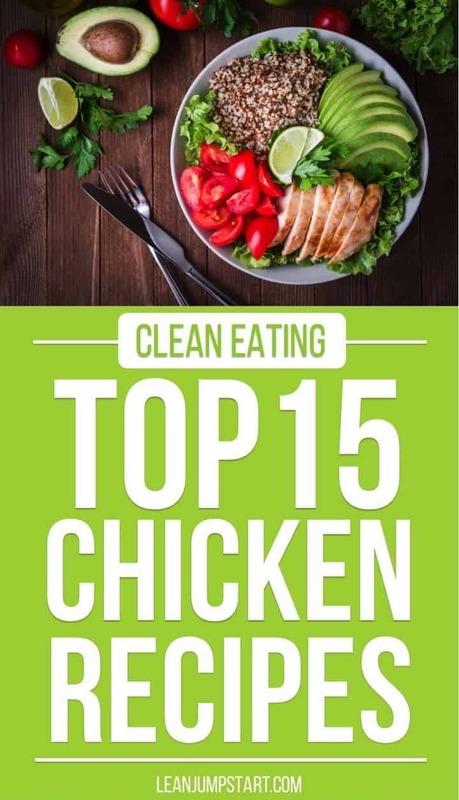 Easy clean eating chicken recipes are for many people a must when it comes to weeknight dinners or lunch for the week. So it doesn’t surprise that some of the most popular meals on the web are based on poultry. But if you are like me then maybe meat doesn’t play the main role in your clean eating kitchen. Fact is, I’m cooking meat to use it as an accent to a meal not to be the center of it. The truth is…although I would call myself a “vegetable expert” – I’m not very experienced with poultry (blushing). Luckily there are other foodies on the web who can help out. In this post, you’ll discover my top 15 yummy recipes for weight loss. I curated the best creations from some of my favorite “chefs” on the web. You can expect easy, lean and healthy meals – most of them don’t take longer than 30 minutes. There are some exceptions with longer preparation times. I tried however to select only ideas that are very easy to prepare without any fancy or long ingredient lists. Also you won’t find any slow cooker recipes. All of these dishes are not only perfect for meal planning but also freezer-friendly, saving you tons of time in your kitchen. Of course I’m starting with my own yummy and lean recipe ready within 20 minutes. My simple chicken vegetable dish is a highly flexible one-pot meal that can use up all vegetables in your pantry before they go bad. 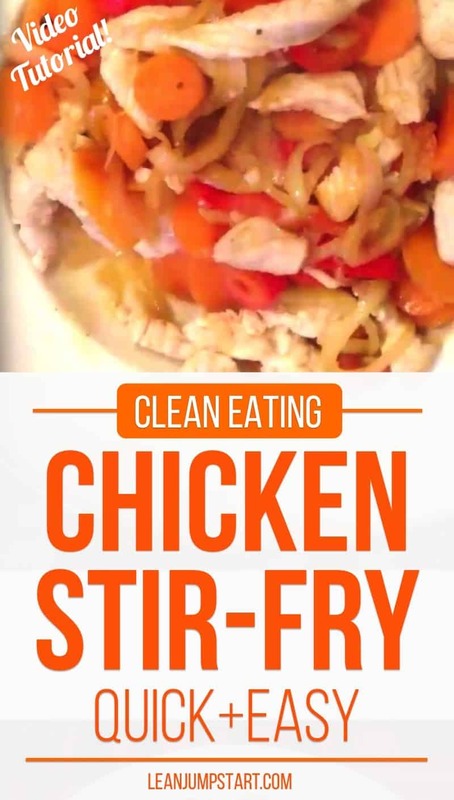 You just stir-fry chicken breast stripes with vegetables on high heat. I’ve used bell peppers, carrots, onions, garlic, some sea salt and black pepper. For your convenience I’ve also added a short video! You can of course use it also as side dish and combine it with brown rice. This baked chicken recipe by Tiffany Azure is loaded with delicious flavor and you can make it in a hurry with just a few simple ingredients. Just replace the 3 tablespoons of butter with olive oil and you’ll create a simple and clean main dish within 30 minutes. 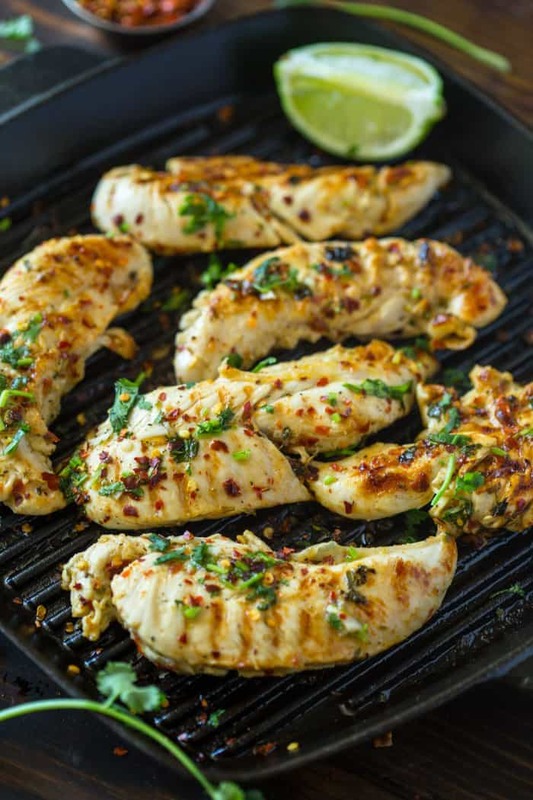 Here comes an easy and quick grilled chili lime chicken by Layla Atik that can be ready within 15 minutes! Just use 1 teaspoon honey instead of the suggested sugar and you have another great protein rich meal at hand. This chicken breast recipe goes great with rice, on salads, or in burritos and wraps! 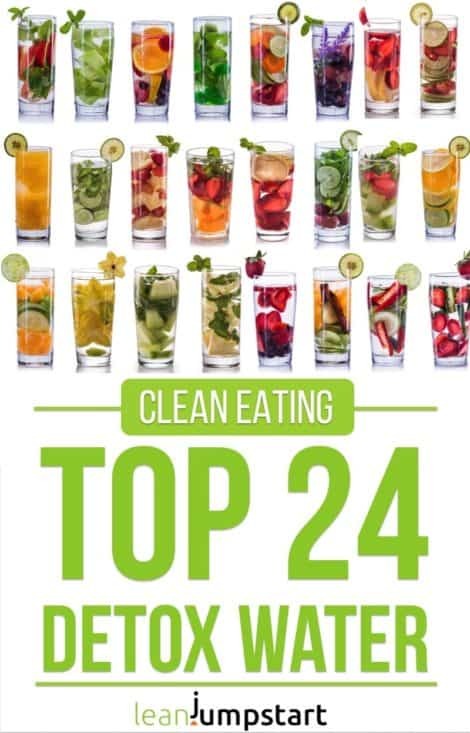 My friend Tiffany McCauley is a developer of wonderful clean eating meals and more. 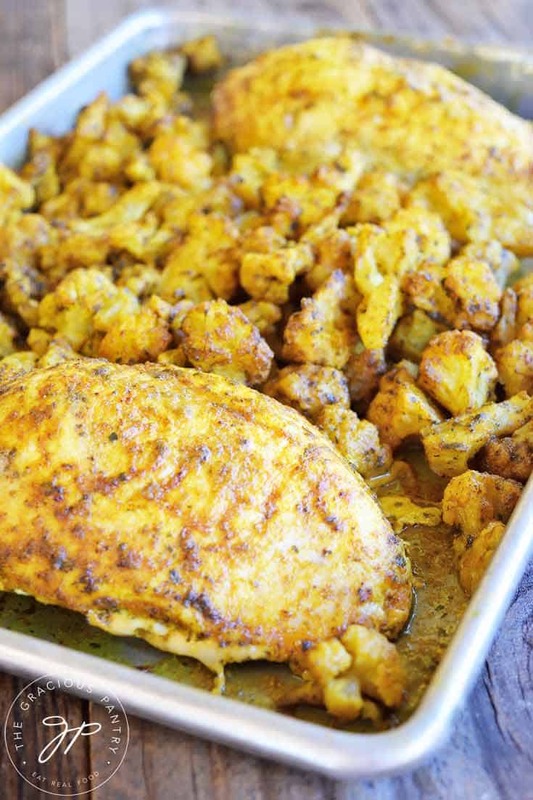 For this recipe she combines chicken, cauliflower and a few spices (e.g. the turmeric). The result is a healthy and yummy one-pan-meal in the oven. The great thing about this dish is that you mix in advance all ingredients in a zipper top freezer bag and freeze it. When you need it you simply take the frozen dish from the freezer, add some oil and spread it over a cookie sheet. I’m aware that the 1-hour baking time for this frozen dish exceeds the 30-minutes time frame from my list. But I feel this is the perfect dish for those of you who just want to throw something healthy in the oven after a busy day. You can store the freezer bag up to 4 months in your freezer! If you are watching your weight you can’t have enough healthy, fiber rich and filling soup ideas. 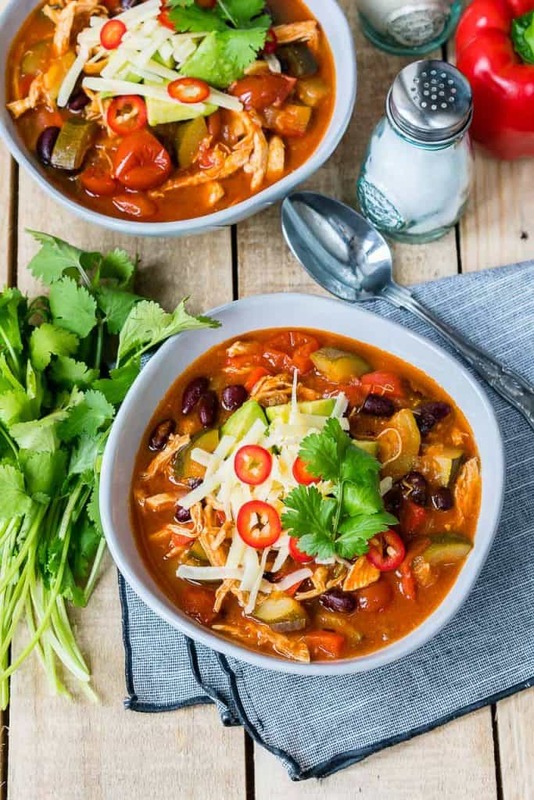 Rachel Maser’s chicken tortilla soup is perfect on days when everything seems to go wrong and you need some comforting soul food. It’s also great for sleepy or sick days! If you are a pasta lover like me then you’ll have to try Olena’s delicious whole wheat spaghetti dish. 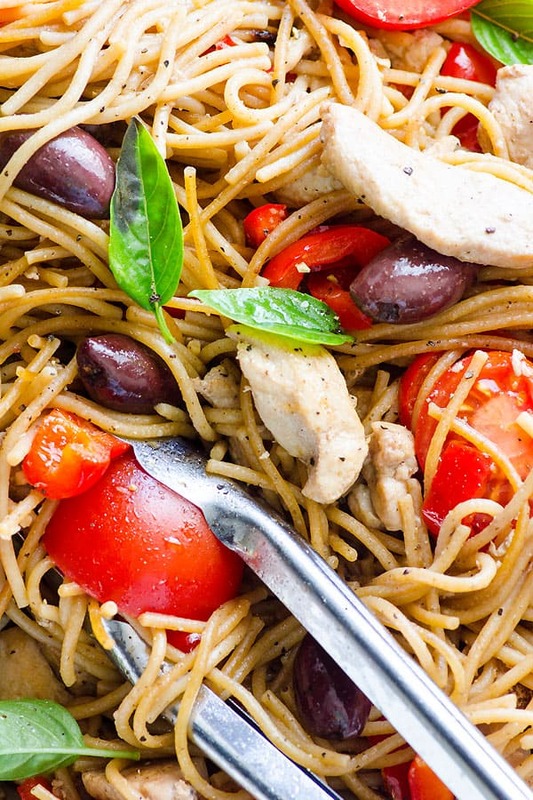 She combines poultry pieces, olives, noodles, cherry tomatoes and fresh garden basil to an amazing 30 minute one pot chicken spaghetti recipe you will crave for more. I can imagine that this dish works also with spaghetti squash. After all those warm meals it’s time for a juicy and lean salad recipe. 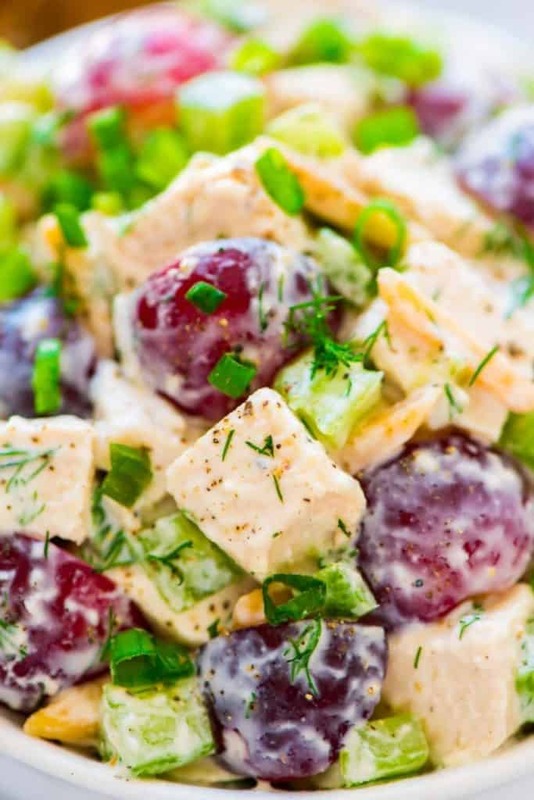 I highly recommend Erin’s Greek yogurt chicken salad with grapes. It’s healthy, ultra filling and creamy without mayo. For best taste experience let it sit in your fridge for a few hours. You could also prepare a bowl of salad to eat for lunch throughout the week. Enjoy it either piled high on a slice of toasted multigrain bread or on top of salad greens for fast, healthy lunches. Hint: This vitamin rich salad is also perfect for parties! 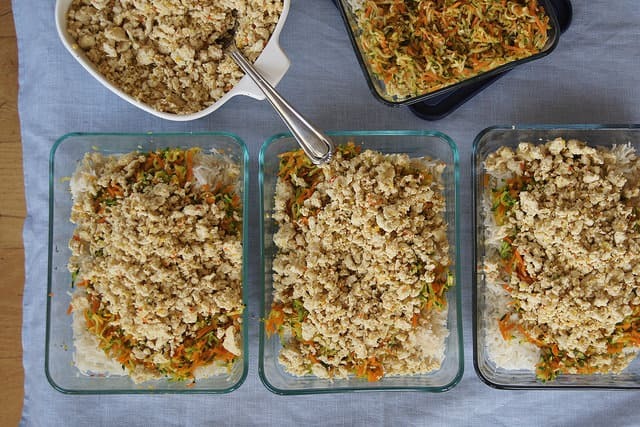 Clean eating dishes with chicken mince are great time savers. This is a typical meal prep idea where you cook a huge batch in advance and freeze part of it. Nic Avery’s easy mince recipe not only reheats well but with key ingredients of turmeric, garlic and ginger it has great anti -inflammatory properties. For this recipe you’ll need a good food processor. 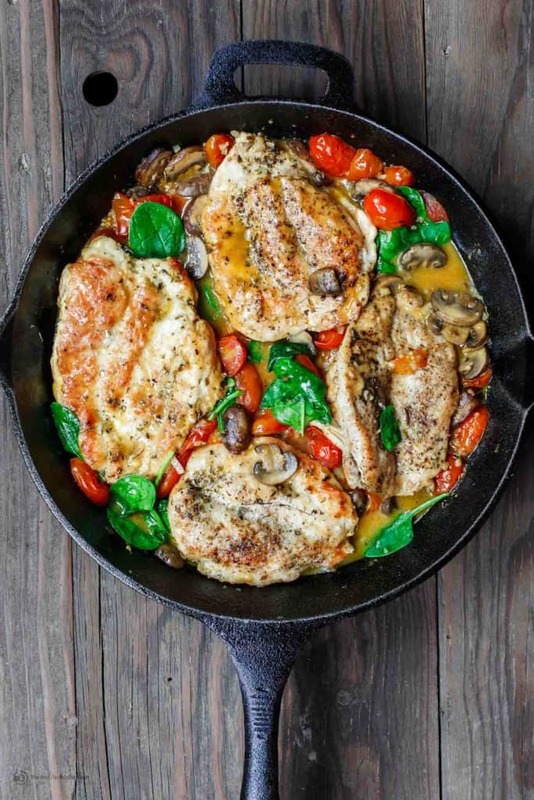 Suzy presents a simple but addictive chicken breast recipe cooked in white wine with mushrooms and tomatoes! 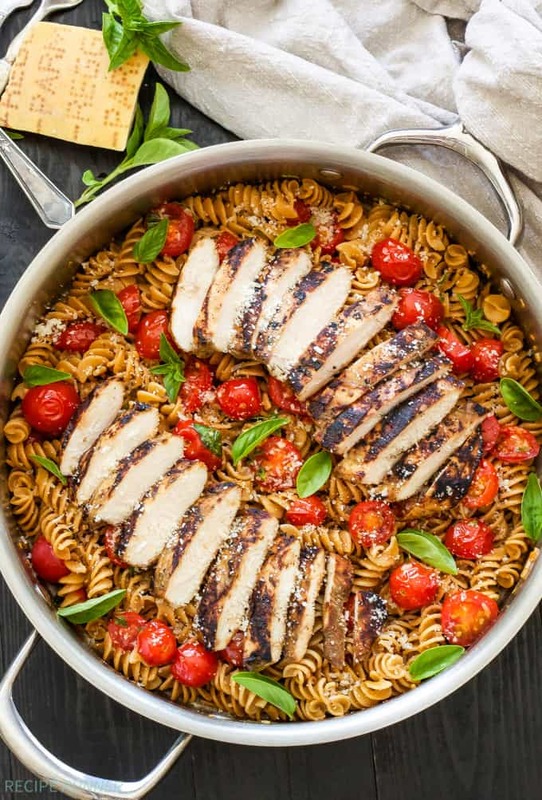 I’m sure you will love this healthy chicken recipe in a skillet that is ready in 30 minutes or less! Tip: Use whole wheat flour instead of all-purpose flour for a clean eating version. Here comes another one pot meal, this time from Abbey Sharp, a Registered Dietitian (RD), and avid food writer. 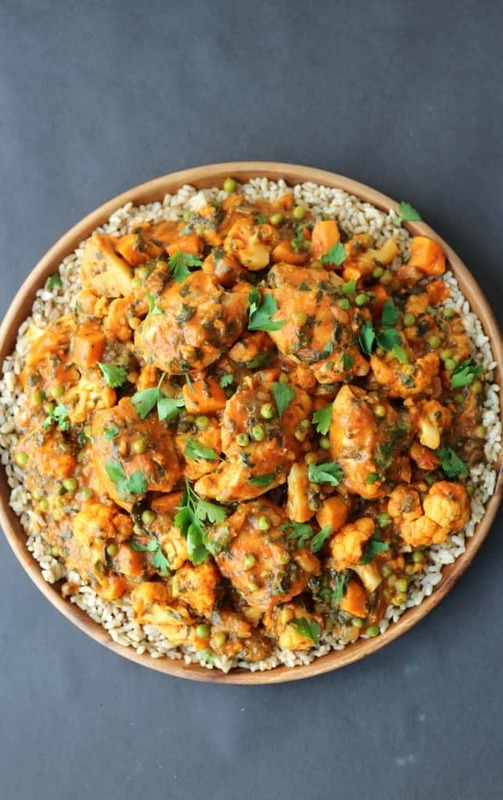 She presents one of her favorite gluten free meals with tons of spicy flavor. Be aware that the ingredient list for her Indian Paleo curry is quite long. On the other hand I’m convinced that this curry will still be delicious if you leave 1-2 other ingredients you don’t have at hand. You could also easily replace green peas with black beans. 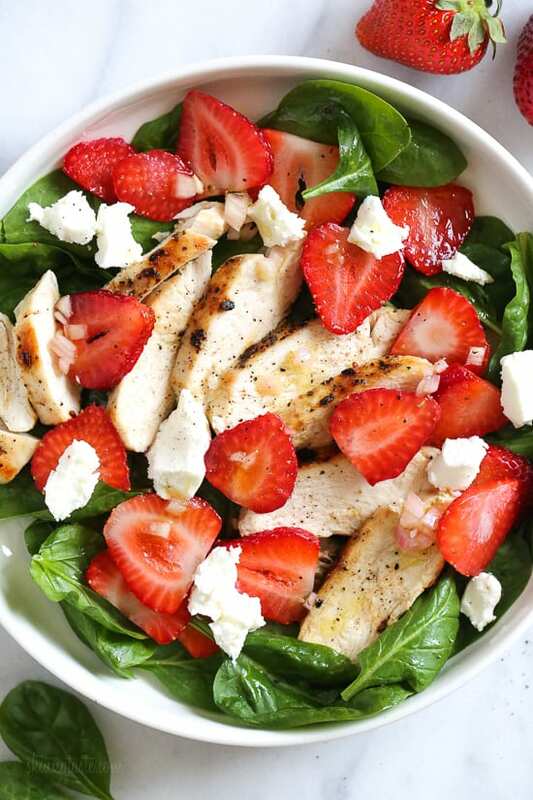 Now with strawberry season at its peak it’s the best time to create a flavorful grilled poultry salad with strawberries and spinach inspired by Gina Homolka. She is a #1 NYT bestseller cookbook author and a master of light, delicious and whole food meals your family will love. 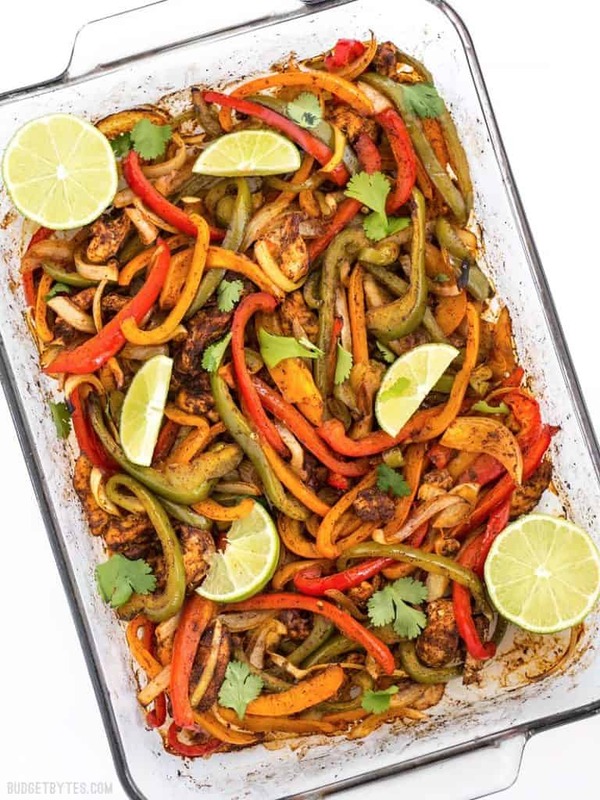 I think this smoky oven fajitas by food lover and number cruncher Beth will be the next chicken casserole recipe I’ll have to try. The oven roasted vegetables and poultry stripes are so seducing that even somebody like me – who is not too fond of meat – can’t resist. If you have a busy week ahead then this cilantro lime chicken with avocado salsa by Jen Nikolaus needs to be on your dinner menu. 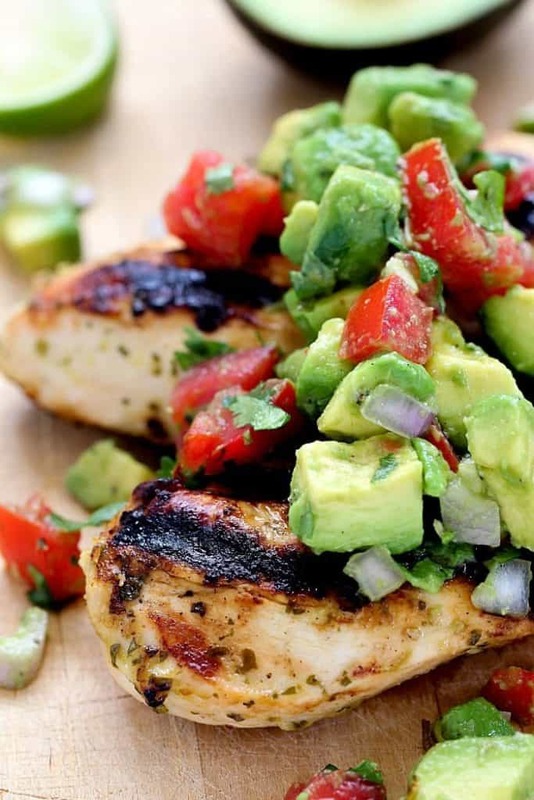 It is quick, easy and avocado salsa paired with cilantro lime chicken is a match made in heaven. I love to cook with the protein-rich pseudo grain quinoa. 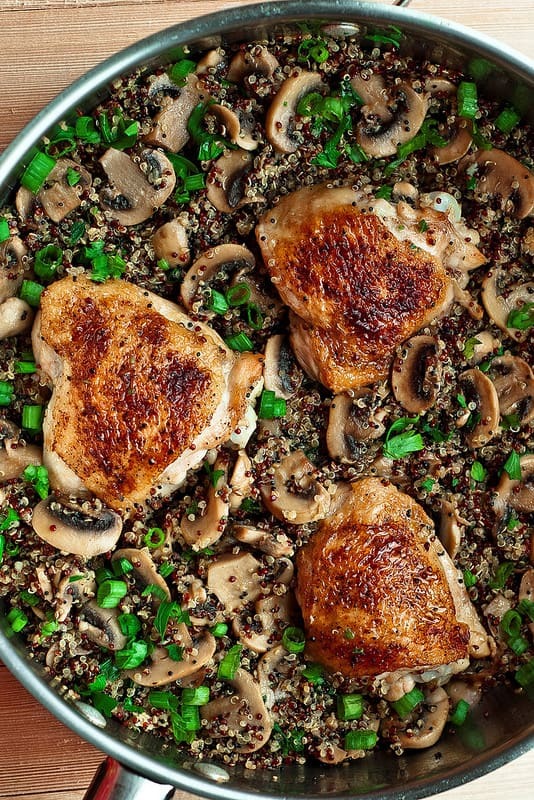 If you need a double portion of protein then try out Olya’s quinoa skillet with mushrooms. Although this dish needs 45 minutes you won’t regret the time invested. The amazing texture and taste will surely compensate you for the longer cooking time. 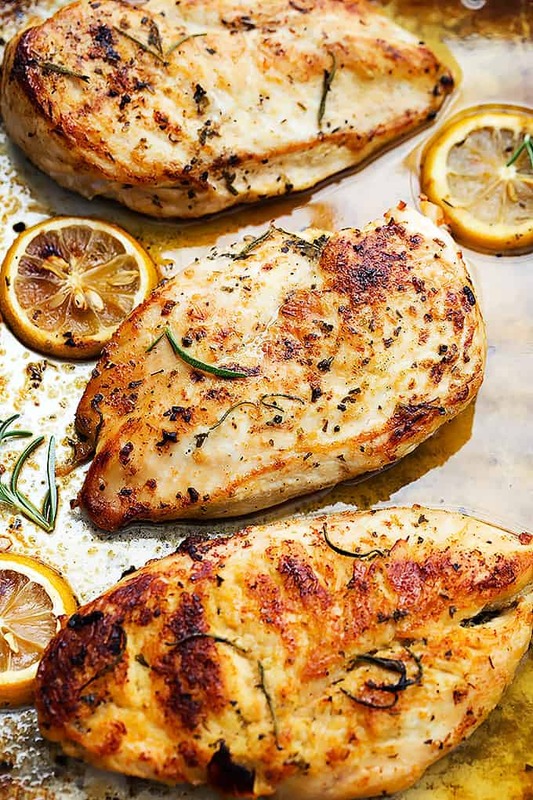 With no carbs and just 5 g of fat per 3- to 4-oz serving, skinless chicken breasts, thighs or legs are a traditional backbone of healthy weight-loss plans. Chicken has also essential nutrients, including iron and zinc and you know that it is an excellent source of lean protein. If you can afford it, I highly recommend to buy free-range certified 100 percent organic chickens as a healthy, clean and delicious source of essential protein. There is however one important ingredient for weight loss you will only get with plant based foods: Dietary fiber. Do you want to eat healthy and lose weight? Do you love a simplified kitchen, based on easy, high fiber and quick clean eating meals without fancy ingredients? If yes, then take it to the next level and check out my 52 Chef Habits Ecourse!